This Pastured Lamb is raised on Blue Ridge Family Farm of Chillicothe, IL. This is a Certified Organic farm raising lamb, small grains and an abundance of hay. The lambs at Blue Ridge graze on a wide variety of plants on their organic farm – grasses, legumes, herbs, twigs, leaves and more. They have access to both wide open spaces and timber. This diverse diet gives the lamb its excellent flavor. 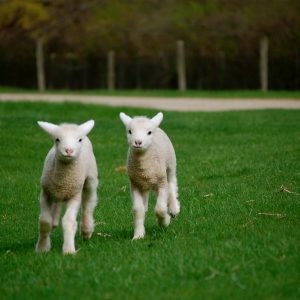 These lambs live an idyllic life alongside their siblings and mothers on a picturesque Certified Organic farm.